Concealed Hinges are also known as an invisible hinge. Concealed Hinges are made so you only see the surface of the door. They consist of two parts, which are pivots and brackets. Concealed Hinges are very useful because you can take the door on and off without removing the hardware. Concealed Hinges commonly used on furniture doors (with or without self-closing feature, and with or without dampening systems). 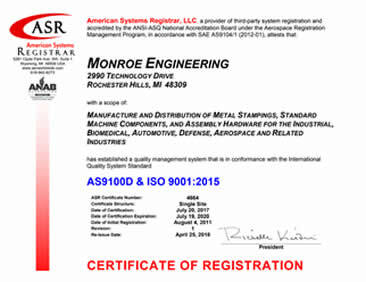 Monroe Hinge & Stamping Company is ready to work with you on developing the right concealed hinge for your application. All of our concealed hinge projects start with a question, a print or a sketch. We are ready to provide you with the support your need to complete the design and manufacturing and delivery of hinges for your project. 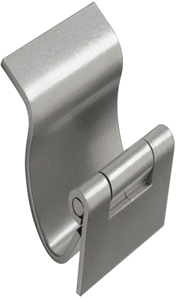 Are you looking for Concealed Hinges?